Would having Donald Trump as the GOP nominee be good or bad for the Democrats -- or for the country? On the one hand, I'm confident that either Hillary Clinton or Bernie Sanders could beat Trump relatively easily. Current polls show Sanders beating Trump, and Clinton beating Trump (although by a narrower margin). Over the course of the campaign, things could change, although even with all of Trump's fortune, and that of the Koch brothers and other GOP donors, the Dems will be able to hold their own in fundraising. Some corporate Dems might go with Trump if Sanders gets the Democratic nod, but most of them will probably stick with Sanders. During the campaign, many more outrageous things will emerge about Trump's past and present -- his womanizing, his bad and corrupt business practices and bankruptcies, his lies about his past, his chronic flip-flopping on issues, his ignorance of basic policy -- than will come out about either Clinton or Sanders. 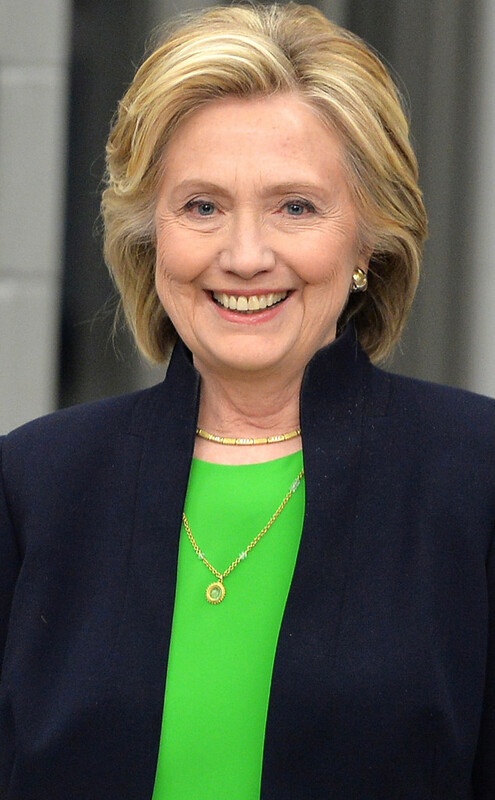 After so many years in the national spotlight, Hillary has already been thoroughly vetted. She has no skeletons in her closet we don't already know about. No doubt Trump will try to resurrect the phony Whitewater scandal or Vincent Foster's death, but it is unlikely they'll get much traction. He'll bring up Bhenghazi and the emails, but by mid-summer the voters won't care. Trump will call Clinton a "socialist," just as the Republicans, Tea Party, and the Limbaugh lunatics and Fox News fanatics tried to pin that label on Barack Obama for the past seven years. Ultra right-wing voters will believe it, but most Americans will understand that, like Obama, she's a liberal, not a socialist. Sanders is a democratic socialist, so if he's the Democratic nominee, Trump and the GOP billionaires boys club (Adelson, Koch brothers, etc) will spend big bucks trying to defame him as a Communist, even though that's a very different thing -- in fact, the opposite thing -- from a socialist. Recent public opinion polls, however, suggest that such "red-baiting" tactics aren't likely to work, since the McCarthy era and the Cold War have been over for decades. Polls show that most Americans don't care about the "socialist" label one way or another. In fact, a Pew survey found that under-30 Americans have slightly more favorable attitudes toward socialism than toward capitalism. And that poll was taken in December 2011, before Sanders' campaign began injecting and popularizing the words "democratic socialism" into the mainstream conservation. Young people today probably identify socialism with Scandinavia's more livable societies rather than with the authoritarian Communist countries like Russia and China. 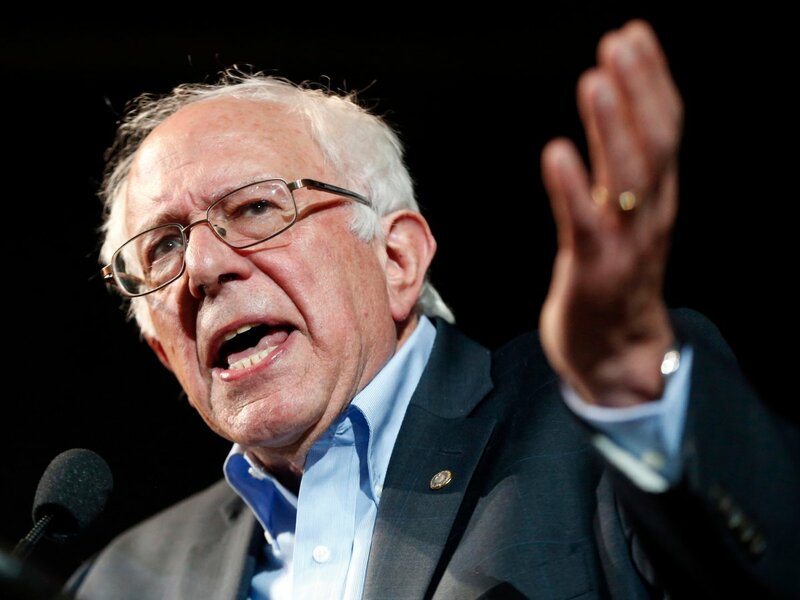 So Trump, the GOP, and the right-wing echo chamber (Fox News, Rush Limbaugh, etc) will also try to define Sanders as a big-spending radical who will raise taxes, promote "big government," and try to turn the United States into Denmark or Sweden. (By the way, Forbes magazine ranked Denmark as the #1 country for business. The United States ranked #18). In fact, polls show that a vast majority of Americans actually agree with Sanders on most key issues, even if they don't define themselves as democratic socialists. As I explained in my article in American Prospect last summer, "Is Bernie Sanders Too Radical for America?" Sanders is in sync with most Americans. The respected writer David Cay Johnston said the same thing in his column last week in the New York Daily News, "You Agree With Bernie Sanders (But You Might Not Know It)." If Trump is the GOP nominee, turnout among Republicans will likely plunge because even many Republicans find Trump distasteful. They won't vote for Hillary or Bernie, but they might stay home, even in the swing states, which would help the Democrats running for Senate as well as Hillary or Bernie. And turnout among Latinos, African Americans, and women (especially young women) will increase because Trump has gone out of his way to offend those groups. I doubt that Trump can help Republicans win in the nine battleground Senate races because his appeal is so narrow, although it will grow somewhat if he's the GOP nominee. He'll increase turnout among right-wing zealots, but they represent less than 10% of all voters and perhaps 25% to 30% of all Republican voters. (Self-identified Republicans represent 26% of voters compared with 44% who identify as independents and 29% as Democrats, according to the latest Gallup Poll). Many independent voters will likely be drawn to the polls to vote against Trump, even if they aren't enthusiastic about either Clinton or Sanders. Trump could fracture the GOP, which is good for Democrats. Looking state-by-state, I don't see a path by which Trump gets 270 Electoral Votes against either Clinton or Sanders. But to Democrats salivating at the idea of running a candidate against Trump, I say: Be careful what you wish for. You won't like the country that Hillary or Bernie (hopefully with a Democratic majority in the Senate. which will allow the Democratic president to appoint two, three or four Supreme Court justices) will have to lead. In his 2004 novel, The Plot Against America , Philip Roth imagines that aviator Charles Lindbergh defeats President Franklin Roosevelt in the 1940 election. Lindbergh was an anti-Semite, sympathetic to Adolph Hitler and the Nazis, and an "America First" supporter who opposed U.S. entry into World War 2. In Roth's novel, the Lindbergh presidency makes anti-semitism more acceptable and catalyzes a wave of persecution against Jews and, one would expect, Blacks and other minority groups. Although I doubt that Trump can win the presidency, even in defeat, he would be extremely dangerous for America, similar to Roth's counter-factual fears about Lindbergh as a winning candidate. If he wins the GOP nomination, he would have a huge megaphone to give legitimacy to all the worst aspects of American culture and society, including racism, sexism, nativism, xenophobia, vulgar nastiness, indifference to policy nuances, and ignorance of basic economic and budget realities. His very presence as the GOP standard-bearer would poison the national political culture. 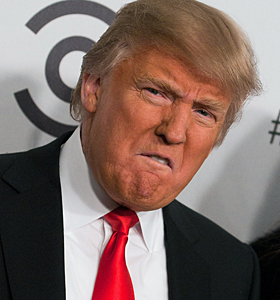 He would provoke hatred -- perhaps even physical violence -- against Muslims, Mexican immigrants, and women. His every outrageous statement would be on the nightly news. He would get more media coverage than either Clinton or Sanders, whose policy ideas would look dull and un-newsworthy compared with Trump's daily bombastic comments. (Ted Cruz is even more conservative than Trump, but he is less charismatic and effective at dominating the media cycles and mobilizing public opinion). The presidential debates would turn into wrestling matches, no matter how much Clinton or Sanders try to steer the conversation to substantive issues. Either Democrat would destroy Trump in a debate if the moderators could contain Trump's bullying and force him to stick to the issues, but that's a big "if." The good side is that the debates would attract a huge TV audience and most Americans (even a significant slice of Republicans) would realize that Trump -- even if he's on his best behavior -- is not fit to be president. The bad side is that the debates would attract a huge TV audience and a sizable slice of Americans would identify with and cheer on Trump's incendiary rhetoric, megalomania, and macho madness. There are, of course, other scenarios. If Sanders or Trump are the nominees of their respective parties, New York Mayor Michael Bloomberg has threatened to enter the presidential contest. (I doubt Bloomberg would run for president if Clinton is the Democrats' nominee). Could Bloomberg beat Sander and Trump by spending his fortune and enlisting his corporate friends to bet on him? If Marco Rubio, Ted Cruz, or even Jeb Bush or John Kasich win the GOP nomination, Trump might enter the race as an independent (third party) candidate. That scenario would guarantee an even bigger Democratic victory in November, since Trump would take votes away from the Republican candidate. But what if Rubio, Cruz, Bush or Kasich get the GOP nob, Sanders wins the Democratic nomination, and Trump runs as an independent? 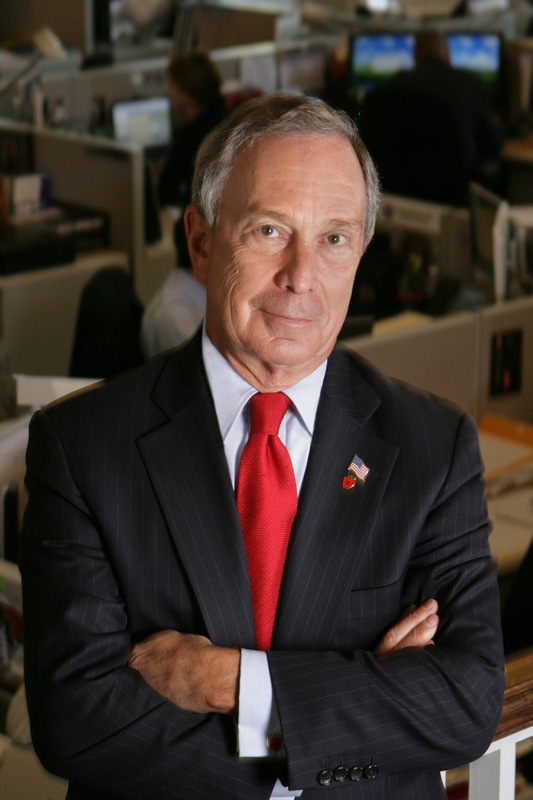 Would Bloomberg enter the fray and make it a four-person race? There hasn't been a presidential contest with four credible candidates since 1948, when President Harry Truman (the Democrat), New York Governor Thomas Dewey (Republican), former Democratic Vice President Henry Wallace (running on the Progressive Party ticket), and Democratic South Carolina Governor Strom Thurmond (running on the segregationist States Rights, or Dixiecrat, ticket) vied for the White House. Truman won by a slim margin. In a four-person race that included Trump, Bloomberg, Sanders and the GOP nominee, all bets are off. Unlike the 1948 contest, I don't know if any of them could get 270 Electoral Votes. If no candidate receives a majority of Electoral Votes, then the House of Representatives elects the President from the three Presidential candidates who received the most Electoral votes. Given the likelihood that the House will remain in Republican hands after November's election, that's not a pleasant scenario. The most likely scenario: Either Sanders and Clinton will beat Trump. That will mean that America will be in a better place, ready to address many of our problems. But the residue of that presidential contest won't entirely disappear. Trump will emerge from his losing campaign as a man on a mission with a wounded ego and a large following. Even in defeat, Trump won't fade away, even if most Republicans disown him for bringing the party down. With his money, his name recognition, his ego, and his ability to attract media attention, he will continue to whip up the most ugly aspects of our society, rub raw the sores of hatred and discontent, and try to stymie Sanders or Clinton from making any headway on their policy agendas. It won't be pretty. Peter Dreier is professor of politics and chair of the Urban & Environmental Policy Department at Occidental College. His most recent book in The 100 Greatest Americans of the 20th Century: A Social Justice Hall of Fame (Nation Books).